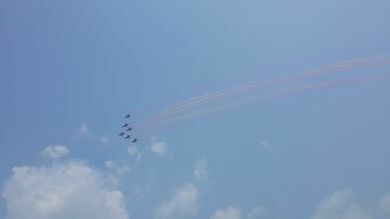 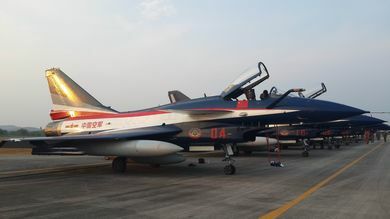 PLAAF August 1st Aerobatic Team's six J-10 jet fighters displayed four times during LIMA '15 in Langkawi, Malaysia from 17th to 21st March, 2015. 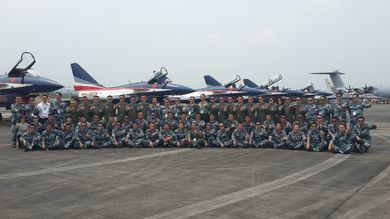 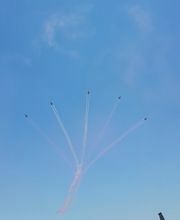 This is the team's second display show outside China and the first in Asia. 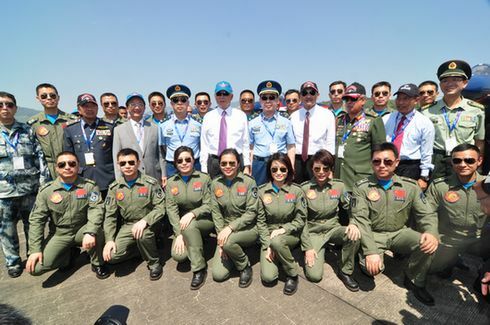 China's first four female fighter pilots made their premier foreign appearance by taking part in the display. 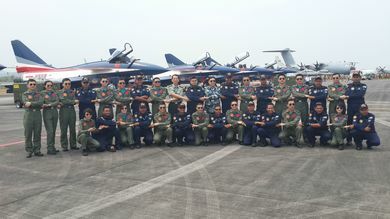 Dato' Sri Haji Mohammad Najib bin Tun Haji Abdul Razak, Prime Minister of Malaysia, Dato' Seri Hishammuddin bin Tun Hussein, Minister of Defence and General Tan Sri Dato' Sri Zulkifeli, Chief of Defence Force met the team and took photos with them. 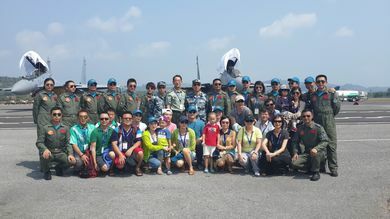 Ambassador Huang Huikang visited the team and watched their display together with staffs of Chinese Embassy.